The ONE Team has successfully conducted multiple underground storage tank (UST) closures for both public and private sector clients. 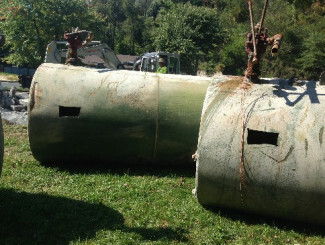 ONE was recently awarded the removal of six (6) USTs from two (2) sites, both located within a US National Park and contracted by the US Department of the Interior. 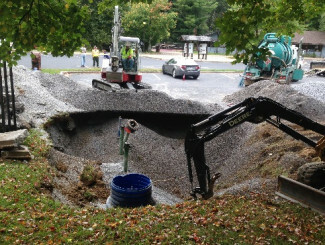 The Sites were located in remote areas, and ONE provided the logistical oversight to implement the tank removal in a cost effective and efficient manner. Review of and response to the Federal Request for Proposal for the removal of the USTs. Contracting and invoicing with the Department of the Interior via the IPP.gov Smart Government Invoicing Platform. Procurement of subcontractors to perform required construction and restoration activities. Excavation of UST pit, removal of residual material and inerting of USTs prior to removal, removal and disposal of USTs, removal of former dispenser islands and associated pads, and transportation and disposal of waste and debris. Confirmation sampling and data analysis. Restoration of both UST pit areas and of the pavement at the dispenser islands. 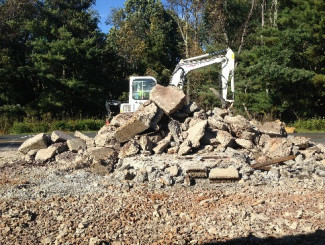 Closure Report preparation and submittal for each site where work was performed. Conducting discussions and negotiations with state agencies.